The night of the ‘Big Wind’ took place overnight from 6-7 January 1839 causing damage to a quarter of all Dublin houses. High waves batter Howth Harbour in Dublin over the last week. THE WIND IS BLOWING and Ireland is on storm warning, but this isn’t the first time Ireland has been battered by bad weather in early January. This day 175 years ago, Ireland experienced the worst storm the country had seen in over 300 years, bringing gusts of up to 185 km/h. The night of the “Big Wind” took place overnight in 1839 on 6-7 January, causing wide-spread damage across the country, according to Met Eireann. Winds reached hurricane force and a quarter of all houses in Dublin experienced some damage, ranging from broken windows to complete destruction. There were also a number of casualties reported and up to 400 people are reported to have died. In Greenhill, two children were killed after the house they lived in collapsed. Newspaper reports from the time state that the captain and 14 of the crew of the ‘Andrew Nugent’ – a 200-tonne sailing vessel – died after the ship was wrecked off Arranmore Island, County Donegal. Twelve men of the Roundstone coastguard were also reported to have drowned. According to a study from UCD, the storm was the worst storm Ireland had seen in 300 years. The depression tracked eastwards up towards the north of Ireland. Estimations of the cost of the damage caused by the hurricane-force winds to present-day values would suggest a bill well in excess of €250 million. 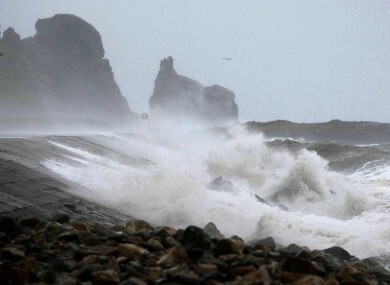 John Sweeney from the Department of Geography in NUI Maynooth stated that “a repeat of this storm is considered to be the worst case scenario for insurance purposes in Ireland. The storm came at a time when a rudimentary instrumental network of meteorological stations was being established across Britain and Ireland, enabling objective rather than subjective data to become available”. Email “On this day in 1839 Ireland experienced its worst storm in 300 years”. Feedback on “On this day in 1839 Ireland experienced its worst storm in 300 years”.